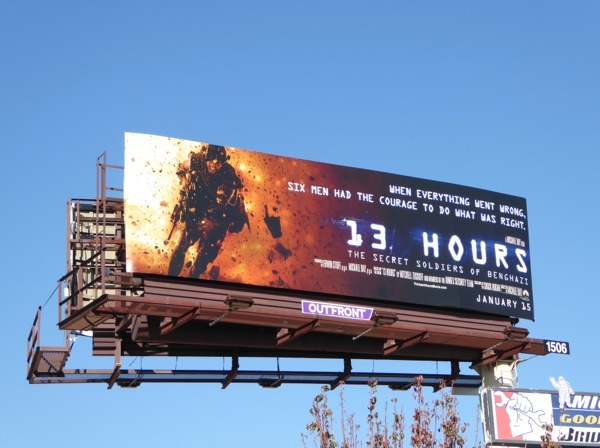 This January Michael Bay has taken a break from giant transforming robots to bring audiences a film filled with big explosions and gun fights in the real world, 13 Hours: The Secret Soldiers of Benghazi. 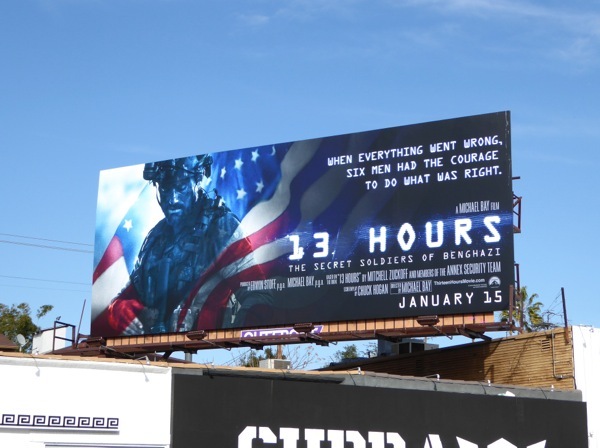 And it certainly seems the time of year to release such a military-themed movie, as in previous years American Sniper and Lone Survivor have performed well at the box office around now, so can this film emulate their success? 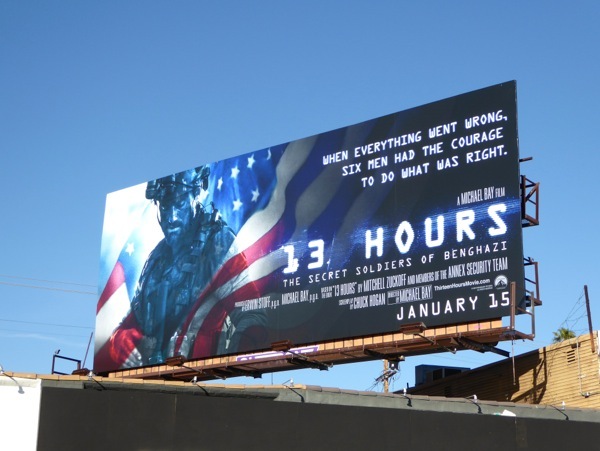 This action movie is based on the events of September 11-12, 2012, when the American diplomatic compound in Libya was attacked by local Islamic radicals, resulting in the death of Ambassador Christopher Stevens and three others. 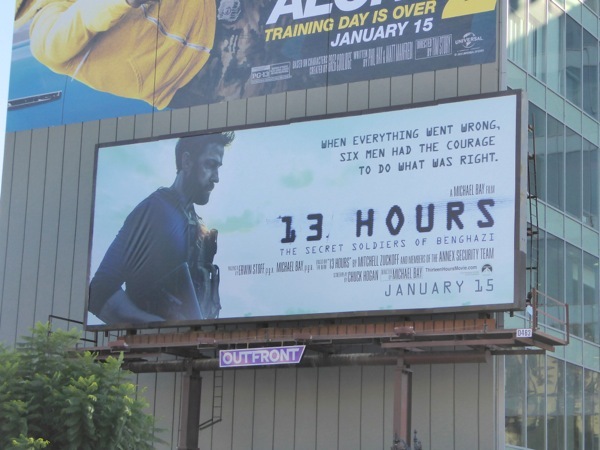 In this dramatization based on Mitchell Zuckoff's 2013 book, 13 Hours, John Krasinski plays former Navy SEAL 'Jack Silva', who's part of the private security team of six ex-military veterans that helped defend the American compound in Benghazi. 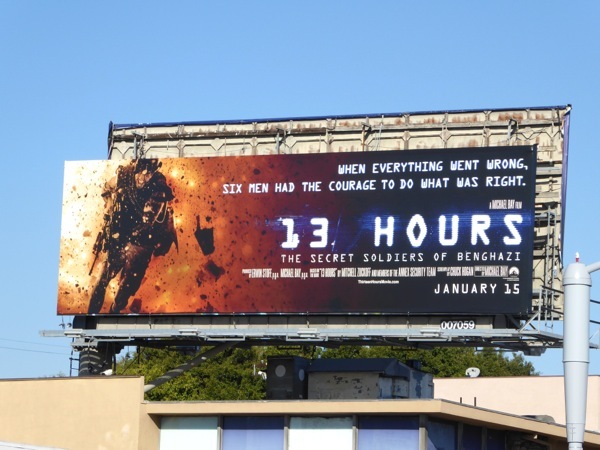 Since the attack, there has been much controversy surrounding then-Secretary of State Hillary Clinton's actions and emails, so it'll be interesting to see what truth, if any this movie sheds on the events. 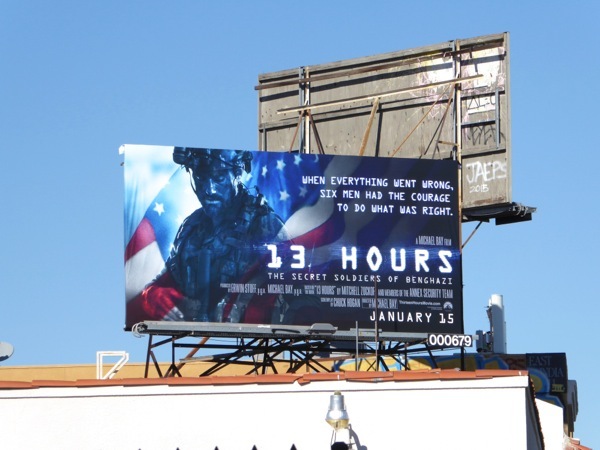 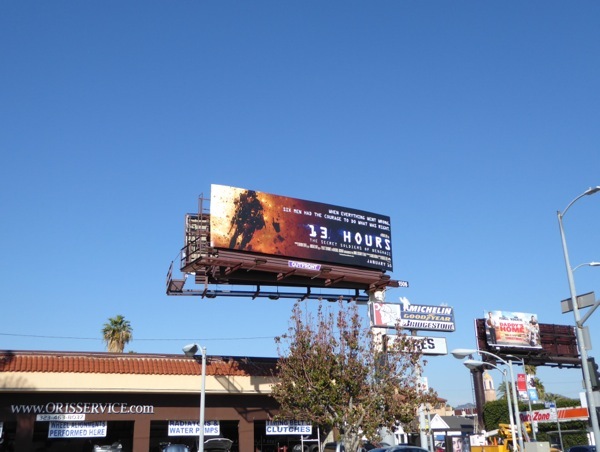 These billboards for the movie certainly have what you want in this kind of military action movie, explosions and patriotic stars and stripes flags waving. 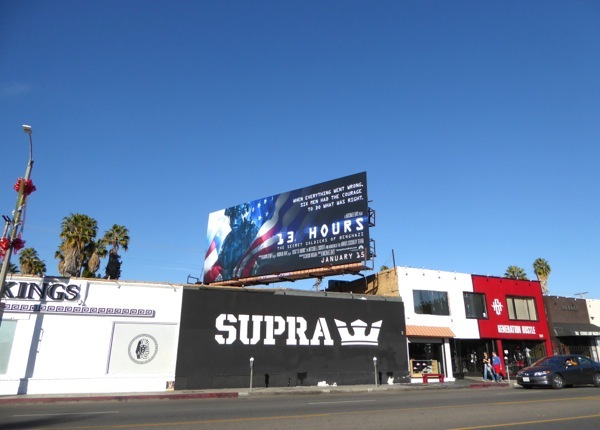 The different ad creatives were spied around the streets of L.A., including Melrose Avenue, La Brea Avenue, Highland Avenue and Fountain Avenue from December 29, 2015 to January 2, 2016. 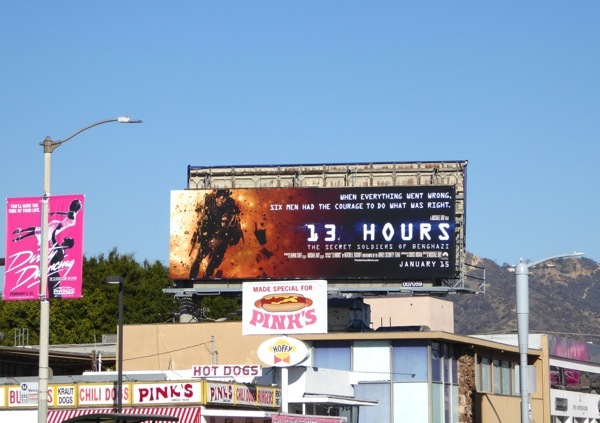 Interestingly there's another movie based on true events filling the skies at the moment called The Finest Hours, a Coast Guard rescue story from the 1950s, so let's hope people don't get confused by the name similarities about what they're seeing.